Direct Full Array Plus captures every moment in exceptional contrast across the whole screen. 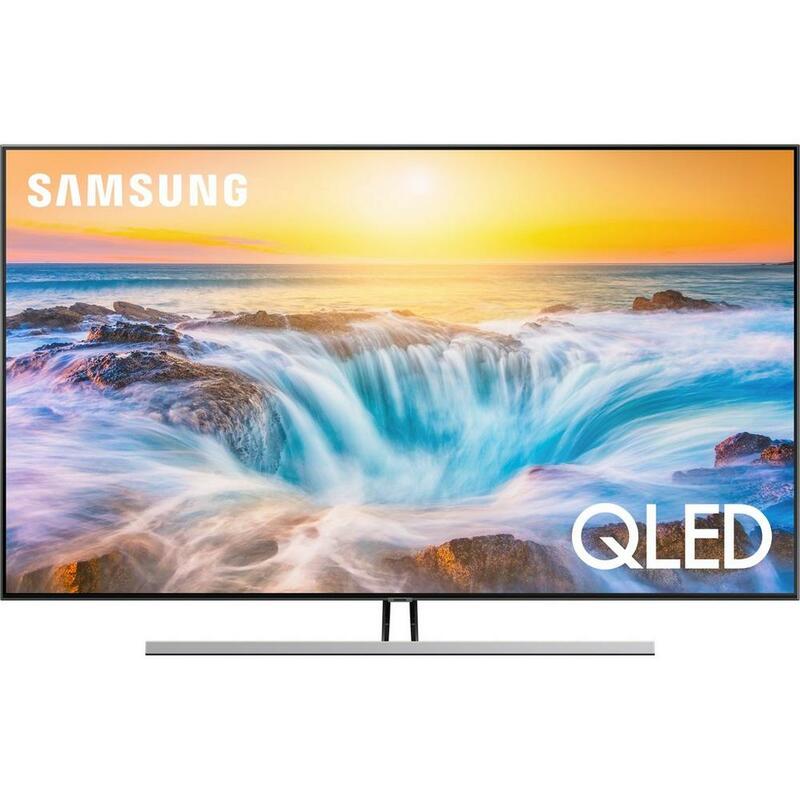 What’s more, this Samsung QLED TV also offers HDR 1500, so even the darkest scenes come to life in amazing detail. Thanks to the Quantum Processor 4K, you can experience the very best picture and targeted sound. And, the AI Upscaling feature uses machine learning to restore lost detail and reduce image noise. This means that you can enjoy all of your favourite content in near 4K resolution. You’ll experience a great view of the Samsung QE55Q85RATXXU, no matter the angle or where you’re sitting. The minimalistic style, including a stunning clean back and near bezel-less design, will push your picture to the limit. Turn your TV screen into a decorative feature – display useful information and personal photos, or blend it into your surroundings and avoid the disrupting look of a blank screen. Stay connected with this Samsung model. Share your latest holiday snaps or favourite tracks from compatible, Bluetooth-enabled devices. You can stream from your PC and access the internet with the Wi-Fi and Ethernet connectivity. Why not link up a games console, soundbar or DVD player using the four HDMI and three USB ports? The QE55Q85RATXXU even has an integrated digital TV service, so that you can enjoy the most popular channels around. Display this silver television anywhere in your home with the silver Outline T stand, or mount it on your wall thanks to the VESA compatibility. Plus, the One Near-Invisible cable lets you keep everything clean and tidy – so you can wave goodbye to messy wires. You can even control all of your compatible devices with the handy remote.